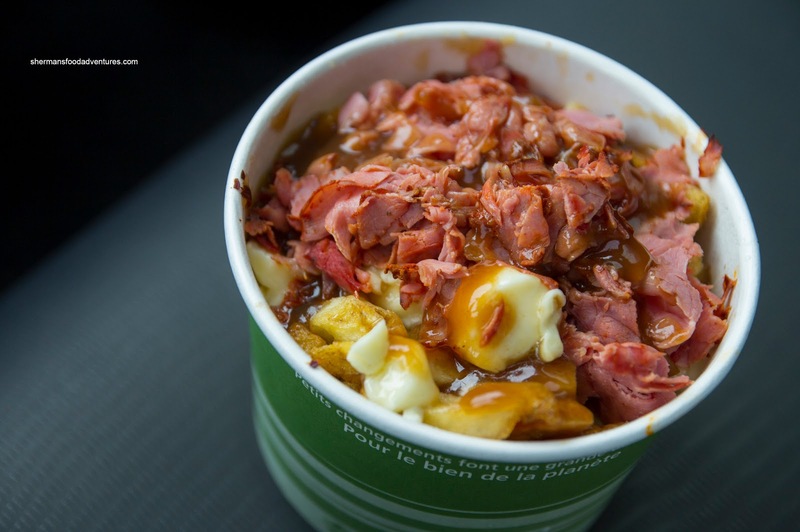 Sherman's Food Adventures: The Spud Shack Fry Co.
"What is your favourite food?" is a question that I am asked often. Even before I started blogging, my answer (without hesitation) would be "a good serving of fries". Huh??? Fried potatoes is your favourite food??? Yes, I would take that over lobster if you can believe it or not. Now I'm not talking about frozen McCain fries nor any generic versions offered up by Sysco or GFS. I'm talking about "frites" made preferably from Kennebec potatoes and fried more than once. 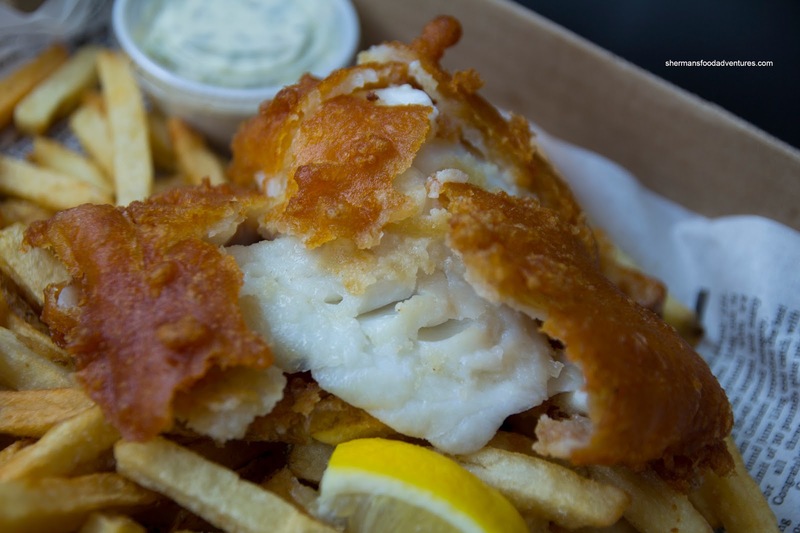 Better yet, serve it up with some form of aioli or other mayonnaise concoction. 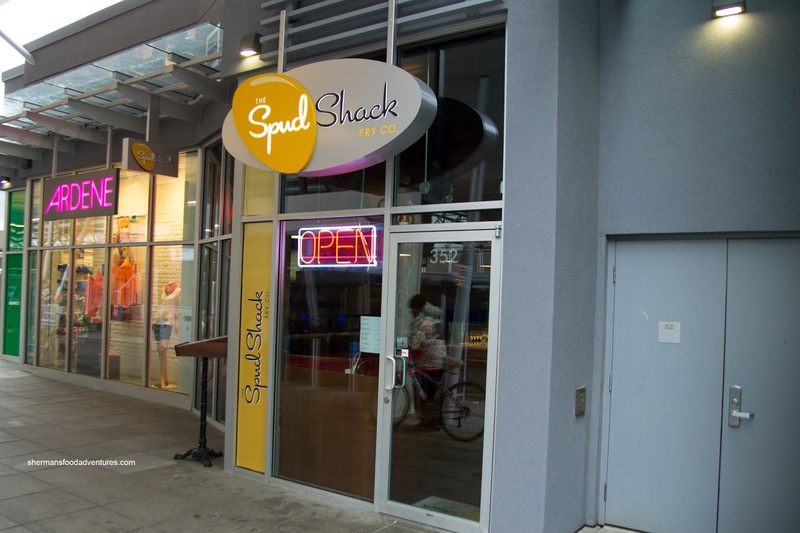 Most people have heard of Belgian Fries, Fritz and La Belle Patate, but there is a new player in town called The Spud Shack. Unlike the aforementioned joints, The Spud Shack is somewhat hidden and almost an afterthought, especially for those who don't venture out of Vancouver. For myself, I decided to make the effort out to the New West Skytrain platform in search of good frites. 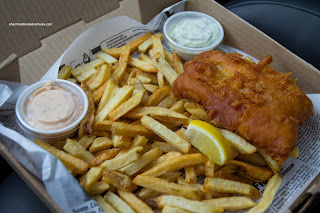 My plan of attack included the one piece Cod & Frites with a side of chipotle mayo. There was an ample amount of crispy frites which were potatoey soft inside. As for the piece of tempura-battered fish, it was flaky and just barely cooked. The batter wasn't exactly thin, yet not thick either. It was crunchy while a touch greasy. I found the tartar sauce quite mild where I would've liked to see more tang and pickle/onion crunch. I always appreciate that you include a picture of the outside of the places you visit because some of these places are damn hard to find! Sherman, you beat me to this one. It's on my list, but I haven't made it here yet. PS Did you make to the Poutine festival last weekend? @mbsunshine Thanks! Sometimes ppl stare at me doing that! @holly Nope! I wanted to though... I tried going here awhile back but couldn't find it!